** Pre-registration event is now live! Visit the official website and participate to get awesome rewards. ▶Skylanders™ Ring of Heroes is available in 13 different languages! We opened Hall of Chaos where you can earn various items including Soul Stones and Cubes. Clear dungeons in Hall of Chaos to summon boss villains. Use various Cubes to level up your Talents. - Improved Shop system and presentation. - Improved other UI features and addressed bugs. We value your opinions on the game. Please send your reviews, and we will check every one of them. I’m unclear what the idea was behind this game. They took one of the better kid friendly games of the past decade, an action RPG with great combat, exploration, puzzle solving, and decently rendered cut scenes and top notch voice acting and turned it into a cookie cutter Korean-style gacha auto battler missing nearly everything about the original games except for the graphical style, characters, and font. Look, I dig daily grind games, my two most played games are daily grind gachas, but this game is extreme even for the genre. The most efficient way to “play” this game is to queue up ten autobattles and set your device down for 20 minutes, come back, and do it again, and again, and again. A lot of these gacha games are effectively autoplay games where the strategy and skill element rests in team building, but most developers don’t ask you to *not* use your device for hours a day just to “play” the “game”. And for what? An utterly pedestrian gacha grinder using Skylander graphics with no innovation. If that’s your type of game, it’s reasonably polished and possibly worth the download (although be warned that the game will download about another 900MB before you get to playing past the initial tutorial), but if you’re looking for anything like the original Skylanders games the only thing you find here is bewildering disappointment. I love this! 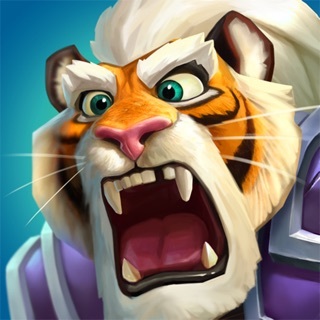 I’ve been a fan since Giants, so when I heard there was a new mobile game coming out, and that it was actually good, I was immediately hooked! This is the first skylanders mobile game that’s actually even good, and I feel so happy because of it!!! Although, all in all, it’s not perfect. There’s a lot to be done. Awakening skylanders could be at least a little easier, and there’s still quite a lot of skylanders to add. And there’s also villains to add. There should be a lot more of them! Oh, and another thing. I’m still really hyped and hoping for a new skylanders game on the nintendo switch sometime. I think that it would be A M A Z I N G if we could get the awakened forms as maybe a final upgrade for skylanders in the game. Like, you’d have to get all of their other upgrades, and then get their soul gem. Then maybe you’d have to get them to their max level and bring them to a special alter or something to awaken them. It’d be awesome! Keep me posted for a new game, k? Thank you for your suggestion on how to improve this game! Have you tried posting your suggestion on our forum (https://forum.com2us.com)? There may be many other users who feel the same and may support or provide other feedback to your idea! Thank you for playing Skylanders Ring of Heroes and best of luck gaming! Fun game based around grinding your favorite characters to develop the perfect team to fight in the arena. Boy do they want your money though. I’m cool with micro transactions but once you’ve bought the 2-3 starter packs for $10 they want you to up your addiction to costing at least $30 each pack, and yes, they are banking on you being addicted. This game can be fun for a long time but PLEASE don’t buy the expensive packs. It may get you to having a fully leveled squad quicker but you’ll realize that you’re just missing important learning curves in the game. I’d love to see more ways for players to be creative. Let us set up a match of 3 levels of our own Skylanders to test others against. Give more activities for guilds to communicate with each other. Building relationships is not encouraged. Let us battle with friends in large matches of either 2v2 or 3v3. More ways to compete and avenues to gain rewards will create more fun and PLEASE give us the ability to buy just simple $5-$10 packs insteAd of having 15 $30-$100 ones. Edit: would really be great if progression didn’t come with so much spending of coins on runes. Really hurts the desire to play the game. We hope to hear from you Portal Master! Thank you!